One Kenyan mother has taken it upon herself to overcome the partisan divide that split America during the Presidential elections. She’s named her newborn twins Barack Obama and Mitt Romney. 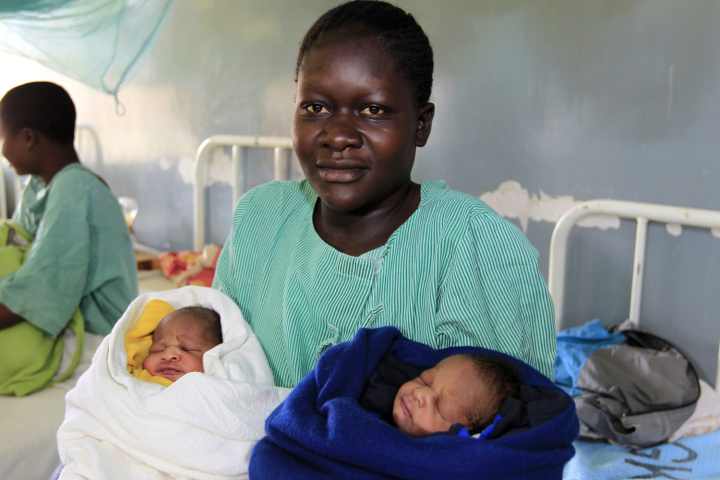 On Tuesday, Millicent Owuor gave birth to twin boys at the Siaya District Hospital in Nyanza province, Western Kenya, the local newspaper The Standard reported . Naming her two sons after the presidential candidates would help her “remember the historic U.S. elections for a long time, both the winner and the loser,” the 20-year old mother told the national daily. Siaya is the home district of Obama’s father, Barack Obama Sr., who was born in the village of Nyang’oma Kogelo in 1936. Just days ahead of the election, the village’s witch doctor, 105-year old John Dimo, had accurately predicted the outcome of the elections by tossing shells and bones and assessing the position they landed. “Obama is very far ahead and is definitely going to win,” he told the Associated Press . Laugh about it, but he was right — unlike those who believe in the Redskins Rule, or critics of Nate Silver . Back in 2008, when Obama became the 44th President, the New York Times reported that at the Nyanza Provincial Hospital in nearby Kisumu, 23 boys were named Barack Obama and 20 girls Michelle Obama. Barack and Mitt haven’t made it into the most popular 1,000 baby names in the U.S. over the last year, according to data by the U.S. Social Security Administration , although wives Michelle (144) and Ann (996) both did. And the vice presidential candidates did slightly better than their running mates: Joe fell from 315 in 2000 to 491 last year, while Paul dropped from 100 to 187.